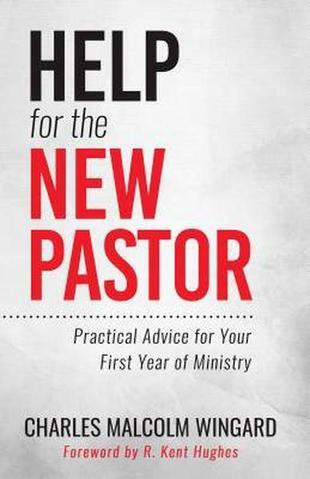 Help for the New Pastor: Practical Advice for Your First Year of Ministry, by Charles Malcolm Wingard. P&R, 2018. Paperback, 144 pages, $11.50. Reviewed by OP pastor Jonathan Landry Cruse. It is impossible for any seminary to teach a prospective minister everything he will need to know—aspects of the pastorate must be lived to be learned. But when it comes to somewhat bridging that gap between full-time study and full-time service, Charles Malcolm Wingard’s book Help for the New Pastor: Practical Advice for Your First Year of Ministry proved to be an admirable aid. I write this review weeks away from completing my first year in ministry, and I am struck by how many of the topics addressed in the book were issues that had already come up in my brief time as a pastor. The overall scope of Wingard’s work is vast: he handles major issues like preaching and the sacraments, but also gives counsel on seemingly mundane items such as when to use announcements or how to sit through a presbytery meeting! And while tackling a wide range of topics, Wingard is mercifully brief. First-year pastors who feel like they are drowning in a sea of work and stress will be able to pick this book up and glean insights a few paragraphs at a time. Wingard’s sections on prayer and administration should be studied carefully. Oftentimes there is such an excitement to get out from seminary and “do ministry” that we forget that one of our main tasks is the persistent work of prayer (Acts 6:4). Wingard doubts that there “is any greater measure of ministerial godliness” than prayer—a sobering thought (184). See the passion and care with which he writes: “Without [prayer], there is never long and fruitful ministry. And that’s what I want for you” (185). Like prayer, the work of administration can seem to clash with the glorified view of ministry that seminarians often have. But ministry is actually a lot of e-mails, calls, and meetings. Wingard’s chapter on administration (71–82) gives tips on handling communications, delegating, and time management, which should prove invaluable to those who struggle with organizational or administrative tasks. Conspicuously absent from Help for the New Pastor was any discussion about how the pastor ought to relate and work with his session or diaconate. As the new pastor will likely be stepping into situations where the officers of the church are more experienced than he, Wingard’s advice on how to handle that dynamic would have been beneficial. His section on church music was also woefully inadequate—three sentences that amount to “an able music director is a real plus” (55). Few men will immediately receive calls to multi-staff churches that have music directors, and Wingard’s solution perpetuates the idea that the pastor can be ignorant in this area. We need pastors who understand the importance of music and are equipped to select appropriate congregational songs. For those who are not officially trained, Wingard should have at least suggested some resources to aid the new minister in this endeavor. Ultimately, there is no one book that is going to make or break a pastor’s first year in ordained ministry, except the Bible. But as the new pastor stores up God’s Word in his heart, he would do well to keep this book close at hand.